Earlier this week, when we announced a new wave of Windows 10 creativity and a collection of exciting new devices—Surface Studio, Surface Dial and Surface Book with Performance Base—we also showcased several innovations to the Office apps. We are expanding the capabilities of digital ink in Office. Ink Editor transforms your digital pen into a powerful editing tool, digital ruler helps you draw straight lines and align objects in PowerPoint, and Segment Eraser makes it easy for you to remove bits of excess ink to create more precise shapes. We’re also optimizing Office apps for the new Surface Studio and Surface Dial devices, and adding Office support for new types of content such as 3D models and Scalable Vector Graphics. While adding new features to Office 365, we’re also making our productivity tools more accessible to people with disabilities. Educators are using Office 365 to create new learning experiences for blind and visually impaired students, and helping students with autism explore the world with Microsoft Sway. For our enterprise customers, we recently announced that we have pulled together all of the information you need to plan, deploy and manage Office 365 and hybrid environments, and published it in one place at aka.ms/O365ITPro. Security and compliance are key issues for many enterprises. That’s as true for government agencies as it is for corporations in regulated industries. Few organizations in the world have more stringent security and compliance requirements than the United States Department of Defense, and DoD adoption of Office 365 is a testament to the power of the platform. At the Gartner Symposium and Government Cloud Forum, Microsoft announced new Azure data centers and Office 365 services designed according to DoD Security Requirements Guidelines Level 5, which makes Microsoft the first IaaS, PaaS, and SaaS provider to achieve these compliance capabilities. Microsoft is proud to welcome the U.S. Air Force and Defense Logistics Agency to the cloud as the first adopters of Office 365 U.S. Government Defense. Office for Mac adds Touch Bar support—Discover how the new Touch Bar support in Office for Mac puts common Office commands at your fingertips, based on what you’re doing in the document you’re working on. Why is Office 365 growth critical to Microsoft’s strategy?—Learn how the popularity of Office 365 with businesses and consumers is creating new opportunities for Microsoft. Microsoft to surpass 100 million Office 365 users in 2017—Find out more about the future growth trajectory of Office 365. Land O’Lakes: advancing agriculture for a new generation—Discover how Land O’Lakes is using Office 365 to help its global agriculture business grow. How the Office 365 U.S. Government Cloud meets the regulatory and compliance needs of the Department of Defense—Learn why many enterprise and government organizations rely on Office 365 and the Microsoft Cloud to manage their data. 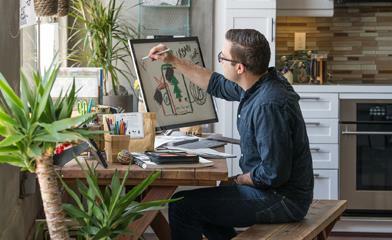 Office 365 is getting its own creativity updates with enhanced pen support—Find out about upcoming Office 365 updates, including enhanced pen support, plus support for Surface Studio and Surface Dial. 5 Office 365 Myths Dispelled—Discover a few things about Office 365 that may surprise you.